When planning one’s final affairs, most people think of things like their will, powers of attorney, or maybe even creating a trust to preserve wealth for their children and grandchildren. However, many people forget that a simple deed can be a powerful tool for preserving assets and protecting property from costly probate. Here are just a couple examples of creative ways that you can incorporate a deed into your estate plan, as well as some of the considerations to think about when deciding whether executing a deed is right for you. These are actually nothing more than an enhanced life estate deed. Say a woman owns a home and raised her children there. Years later, her husband has passed away, the children have grown, and she remarries. She may wish to leave the home to her children, but what happens if she dies before her new husband? Where would he live if she left the home to her kids? Under a life estate deed, the woman can deed the home to her husband for life, yet preserve a remainder interest in her children. This means he will get the beneficial ownership of the home for all intents and purposes while alive, but he cannot leave it to someone else. When he dies, the property passes to her children as instructed in the deed. Some caution is needed here, because this is a very limited type of transaction. It does not take into consideration personal possessions, furniture, heirlooms, and so forth. Further, Lady Bird deeds can be problematic if the surviving life-owner of the property should do something to encumber or damage the property. Otherwise, it’s as simple as having an attorney draft the deed and record it with your local recorder of deeds. One should view this as a potential option for discussion with a skilled estate planning attorney. Maryland’s default rule is that all property held by multiple non-married individuals is by “tenants in common.” This is an old term that basically means each person has their own share. If two brothers wish to buy a home together, it will default to this mechanism of ownership, which then requires them to specify what shares they each own. This is generally determined by the amount they each put toward the purchase (i.e. 60/40, 50/50, etc.). Married couples automatically default to “tenants by the entirety,” which simply means they each own the property 100%, sharing equally and fully all rights and responsibilities, unless otherwise declared in a deed. So, when unmarried people enter into an agreement to purchase a home together, they often mistakenly believe if one of them survives the other, the one living will get the home. This is not true. If not otherwise specified, the survivor would only own a share. The decedent’s heirs would then become co-owners, potentially complicating the situation. The solution? A simple joint tenancy deed with a right of survivorship. This allows the pair to own and inhabit the property, and if either should die, the survivor inherits the whole property in full. Again, however, one should use caution when doing this, because both owners have equal rights to borrow against the home, rent it, or make major renovations. One should always carefully discuss such arrangements with an attorney. The opposite can happen too. Perhaps two married people were upper middle class professionals who invested heavily in a luxury property. They may have children from prior marriages to protect. In such a case, they may choose to be tenants in common, rather than the default of tenants by the entirety, thus passing their own share of the investment to their respective children upon death. If you are in Anne Arundel or Howard Counties, you can count on the Law Offices of Todd K. Mohink, P.A. to offer careful and prudent guidance through whatever life brings. 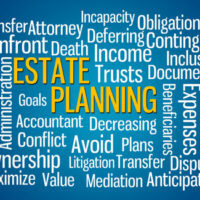 Call us today to set up a personalized meeting to review your final estate plan.